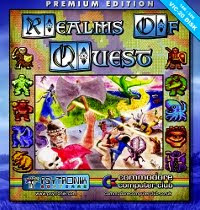 You can obtain a copy if Realms of Quest Trilogy from Psytronik. It was in February of 2009 (this year) that I had announced that I would be making DUNJON III. 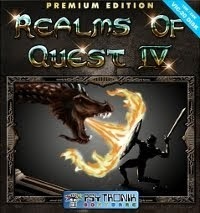 After a couple of weeks, I decided that this project would instead become REALMS OF QUEST III. 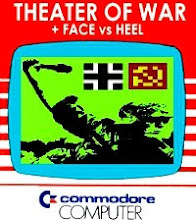 I posted on the VIC-20 Denial forum what was on my mind at the time as I was making this game. There were some setbacks but it was always 3 steps forward with the occasional step back.Again, a big kudos to saehn and darkatx (and of course, Kenz the publisher) for their magnificent art. Would you believe that I originally conceived that it would take me 2 years to finish this project? At the time I started this, I only had a bare minimum knowledge of 6502 assembly language. I hope that those who order it get some entertainment out of it. 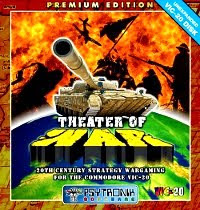 If you'd like a sampler of what this game is like, you can also try the freeware version available here. I just ordered this and am very happy with the files, hope to get the disk in the mail in the next couple of days. I got a VIC-20 off of e-bay primarily for this! (already had the 1541 drive) Now I just need a 32K expansion cart---haha.